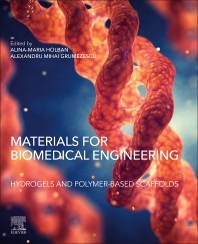 Materials for Biomedical Engineering: Hydrogels and Polymer-Based Scaffolds discusses the use of a wide variety of hydrogels as bioactive scaffolds in regenerative medicine, including updates on innovative materials and their properties. Various types of currently investigated scaffolding materials and hydrogels are discussed, as is their future roles and applications, the main techniques for scaffold fabrication, and their characterization procedures. Readers will be able to use this book as a guide for the selection of the best materials for a specific application. 12. The design of two different structural scaffolds using β-tricalcium phosphate (β-TCP) and collagen for bone tissue engineering.